The Relationship between Toxins and Immune Dysfunction - YeastInfection.Org by Eric Bakker N.D.
Toxins and allergens include substances you breathe in, such as pollen, bacteria or mold spores, dust and various chemicals such as pollutants (car fumes, heavy metals, etc.) or by way of additives to the foods you eat (colors, flavors, preservatives, etc.) Toxicity also commonly occurs due to pharmaceutical drugs, and many people with a yeast infection today will have taken an antibiotic or the oral contraceptive pill in the past, besides headache pills, sleeping pills, antidepressants, or any one of a dozen other commonly doctor-prescribed or self-prescribed over the counter drugs. There are also the naturally occurring toxins such as the bacteria, viruses and molds that will be found in our foods or environment. Other ways you may become toxic or allergic or develop parasitic infections is by coming into contact with animals, do you have any pets or live on a farm? Some patients I have seen in my rooms over the years work in potentially toxic occupations like mechanics, printers, dry cleaners, truck drivers, painters, plumbers, tanners, welders, sheet metal workers, gardeners, dentists, factory workers and many other occupations which all potentially place their workforce in toxic environments. Many of these chemicals can increase your incidence of an abnormal immune response, including the production of immune modifying substances produced to cope with any potentially underlying toxic onslaught. 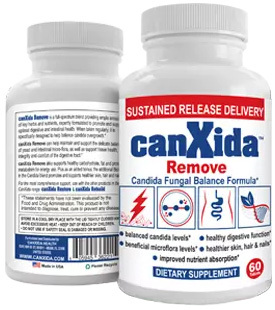 When an increasing toxic or allergenic load overwhelms your immune system, it is unable to resist a yeast invasion and as your resistance breaks down you are increasingly likely to develop a chronic yeast infection. The best way to deal with toxins is to regularly undergo detoxification, and you can read all about this in section 3 of chapter 7, Understanding Cleansing and Detox – all outlined in the Candida Crusher book. It is important to consider boosting your immune defenses, because it is the sole responsibility of your immensely powerful immune system to hunt down, identify and destroy any allergic or toxic substances before they have a chance of wreaking internal damage. Without an adequate defense mechanism you are leaving your body wide open to a myriad of different health complaints directly related to poor immunity, including a chronic yeast infection.